A well-structured employee share scheme will benefit both employer and employee. Employee share schemes fall under one of two HMRC categories. An employee share scheme can be highly effective for an employer to attract and retain best talent, and in aligning employee and company interests. Careful planning is essential however to meet stringent HMRC requirements and to navigate the associated tax rules. 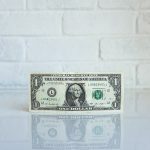 Under an employee share option, employers can give employees the right to buy a set number of shares in the company at a fixed price during a set period of time. An approved employee share scheme can include Company Share Option Plans (“CSOPs”), Enterprise Management Incentives (“EMI”), Share Incentive Plans (“SIPs”) and Save As You Earn (“SAYE”). They are usually afforded some form of statutory relief that makes their acquisition by employees, and award by employers, quite efficient from a tax perspective. Unapproved plans, such as Growth Share Plans, Long-Term Incentive Plans and Unapproved Share Option Schemes, are not approved by HMRC and as such do not offer the same types of statutory tax reliefs that are usually on offer for approved schemes. However, it still may be possible to put together such a scheme that meets the employer’s objectives in a tax efficient manner. Each type of employee share scheme is governed by different rules, eligibility and tax treatment, which means specialist advice is essential to ensure compliance while deriving maximum benefit for company and employee alike. 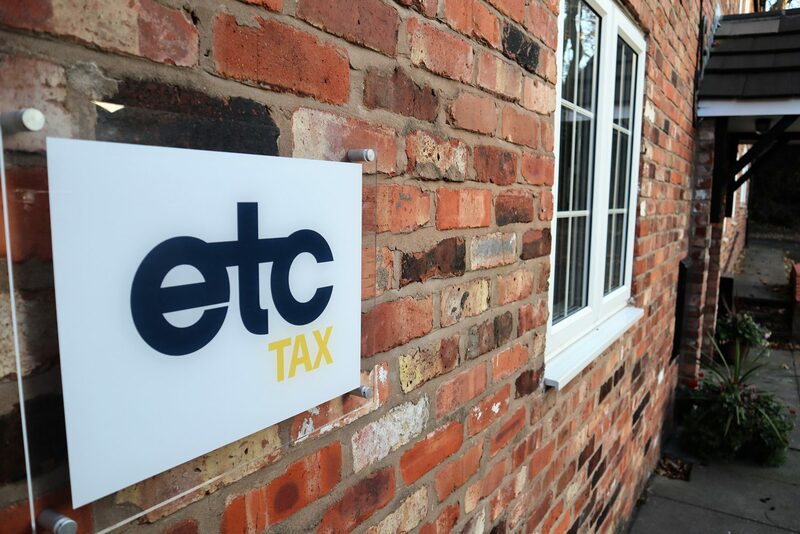 As experienced tax consultants, ETC Tax advises companies of all sizes and from a range of sectors on effective use of an employee share scheme. We start by understanding each employer’s strategic objectives of their share scheme. It may be employee attraction and retention of valued personnel, boosting remuneration packages tax efficiently, succession planning for major shareholders, or raising equity funding. We can support by structuring, drafting, and implementing employee share plans aligned to your corporate objectives. We advise on the tax implications of share plans for both the employer and employee – covering corporation tax, Income Tax, National Insurance Contributions (“NICs”), Capital Gains Tax and all other associated liabilities. We are also experienced in dealing with international employee share schemes, ensuring compliance with tax and regulatory requirements in all relevant jurisdictions. Whatever you need to achieve through your employee share scheme, we advise on the most suitable options to meet your needs, while ensuring compliance with HMRC regulations, avoiding the risk of incurring additional tax liabilities and maximising favourable tax arrangements where possible. Do you have an employee share scheme question? What is an unapproved employee share scheme? An unapproved share scheme provides employees options to acquire a number of shares at a future date at any price specified by the company. Unapproved employee share schemes can be offered on a selective basis for certain individuals or groups of employees. The ability to exercise unapproved options is often used to motivate personnel to meet performance targets. When is an unapproved employee share scheme suitable? As the name suggests, unapproved share options are not approved by HMRC, and as such they generally do not offer favourable tax treatment. The flip side to operating outside of HMRC’s purview is that unapproved schemes offer a higher degree of flexibility to meet a company’s specific requirements. Scenarios where an unapproved scheme would be beneficial to a company include where the criteria for an approved plan has not been met, or where a company wishes to grant options exceeding those allowed by approved schemes – in which case, an unapproved scheme can be used in parallel with an approved scheme. What is the tax liability for unapproved share schemes? Generrally, provided the option has been exercised within 10 years of its grant, there will be no tax or national insurance charge when the option is granted. The exercise price can be set below the market value of the shares. However, when the option is exercised, income tax liability is triggered, which may mean the employee has to sell some of the shares just acquired in order to meet this liability. In many cases, the employer will pay the employee a bonus sufficient to fund the income tax liability. Growth shares are typically used to reward to key personnel for growth in the value of the company. Under a Growth Share Plan, the employee is offered equity in the company without the need for upfront investment. The equity however only becomes valuable once the company value grows beyond an agreed threshold, or hurdle’. Correctly structured, employees will not be charged to income or NICS on the acquisition. L-Tips are ‘free shares’ awarded to specific employees of meeting specific performance targets. They are typically used to tie the receiving employees to the company for a specified period of time. L-TIPs are generally administered through a company-funded Employee Benefit Trust (EBT). When an employee reaches their target their shares can be allocated, transferred or sold from the company-funded Employee Benefit Trust (EBT) or the employee becomes beneficially entitled to the shares. The benefit will be lost if the employee leaves before this point or performance targets are not met. The employee is generally liable to income tax on receiving the shares. A liability to employee’s and employer NICs may also arise. Deductions against profits chargeable to corporation tax may be available. Entrepreneurs’ Relief reduces Capital Gains Tax from 18% to 10% on chargeable gains, after deducting the annual exemption of £10,600 up to a maximum of £10 million lifetime gains. Once a person has made gains of £10 million no further entrepreneurs’ relief is available. To qualify a shareholder must own at least 5% of the company’s ordinary share capital and are able to exercise at least 5% of the votes and be an employee of the company. The shares must be in a trading company and the shareholder must have held them for at least 12 months. The 5% holding requirement will often make the securing of ER difficult for an employee shareholder. What is an approved share scheme? Approved employee share schemes have to meet certain statutory requirements in order to be approved by HMRC. The main advantage is that there is no tax charge when the option is exercised – the only tax charge arises when the shares are sold. CSOPs grant participants options to purchase shares in the company at a specified time in the future at their market value at the date of grant. The granting of options can be made dependent upon the achievement of specific performance targets. An employee can be granted approved options with a value of up to £30,000 at the date of the grant. CSOPs must first be approved by HMRC. The company must agree a market valuation with HMRC for the shares under the option as at the date of grant. These are discretionary schemes and can be granted to selected employees. However, employees who own more than 25% of the company cannot participate in a CSOP. CSOPs are frequently used by family or owner-managed companies because only selected employees need be included. Options can be exercised at any time between three and ten years after they have been granted. Provided the options are exercised after three years there will generally be no income tax liability and no liability to National Insurance Contributions when the options are exercised. Capital Gains Tax will be payable on the eventual sale of shares. Enterprise Management Incentive (EMI) schemes are aimed at small, independent companies with gross assets of no more than £30 million and no more than 250 employees, and which are not under the control of another company. They are designed to assist these businesses in attracting and retaining high calibre employees. EMI schemes are approved schemes but approval from HMRC does not have to be secured in advance. Each time an option is granted this must be notified to HMRC within 92 days of the date of the grant. Save As Your Earn schemes enable employees to buy shares with savings for a fixed price. Save As You Earn Schemes must first be approved by HMRC, and must be offered to all employees on similar terms. Employees enter into a savings contract for three or five years to save up to £500 per month. This is deducted from salary or wages net of income tax. Interest and bonuses accrued at the end of the scheme are tax-free. There is no income tax or NI on the difference between what was paid for the shares and their value. Capital Gains Tax may be if you sell the shares – but not if you put them into an Individual Savings Account (ISA) or pension as soon as you buy them. Under a Share Incentive Plan, employers can award employees up to £3,600 of ‘free’ shares each year – these are tax and national insurance exempt. Share Incentive Plans have to be offered to all employees. Employers can are permitted to set a minimum period of employment before an employee can qualify, although this cannot exceed 18 months. Employees can buy up to £1,800 of ‘partnership’ shares out of their pre-tax and pre-NIC salary. Where an employee invests in partnership shares, the employer can provide additional tax-free ‘matching’ shares on a matching basis in any ratio of up to 2:1. The company may also permit employees to purchase more shares with the dividends received from the free, matching or partnership shares. There will be no income tax liability if the employee keeps the dividend shares for three years or more. The company will obtain corporation tax relief for the costs incurred in providing shares and also for the market value of the free and any matching shares given to the employee.